Picking recommended ELISA Kits will save you time - yet all 63 products covered by our Money Back Guarantee! 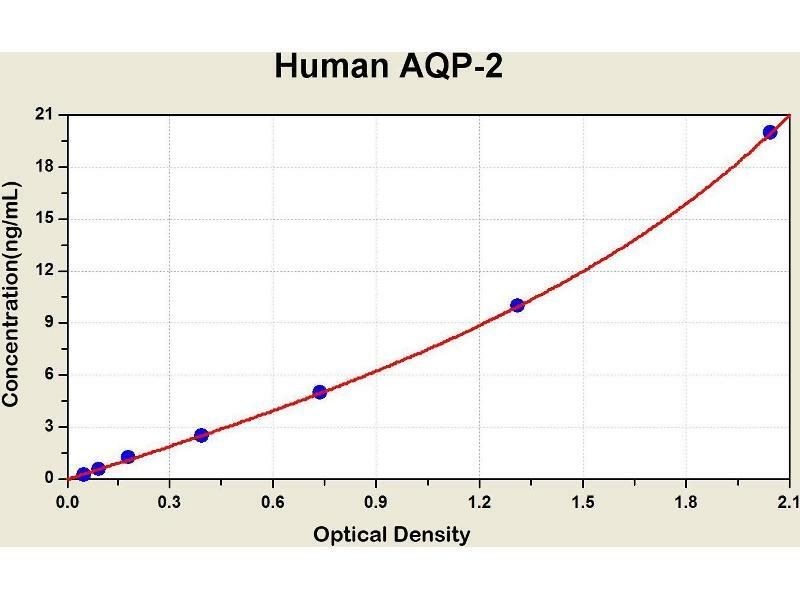 Diagramm of the ELISA kit to detect Human AQP-2with the optical density on the x-axis and the concentration on the y-axis. 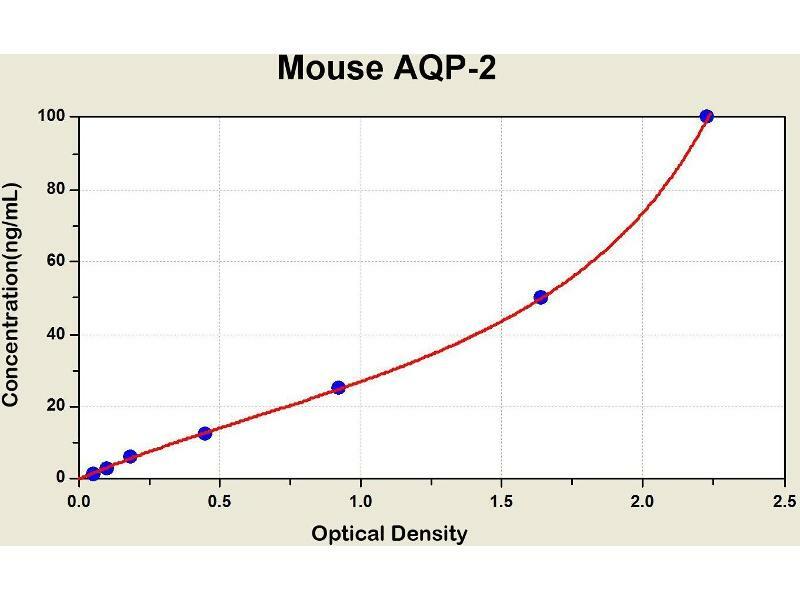 Diagramm of the ELISA kit to detect Mouse AQP-2with the optical density on the x-axis and the concentration on the y-axis. 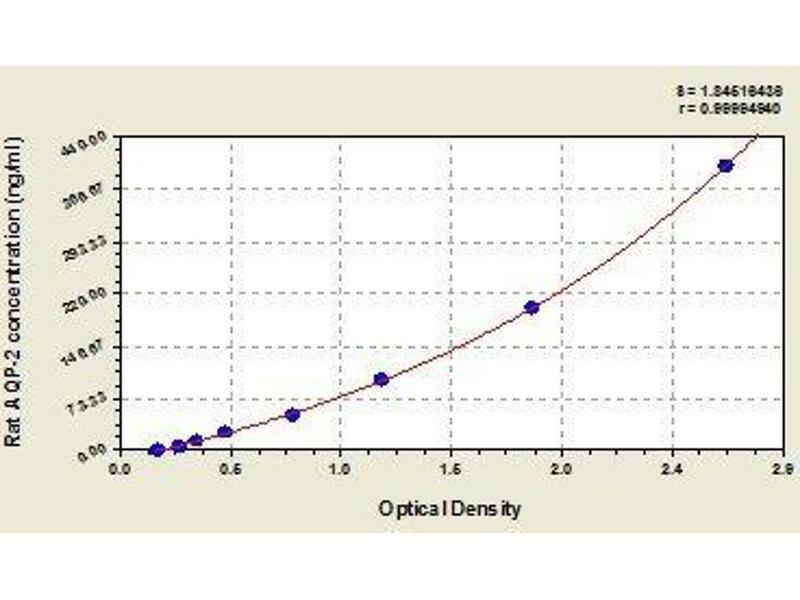 This gene encodes a water channel protein located in the kidney collecting tubule. 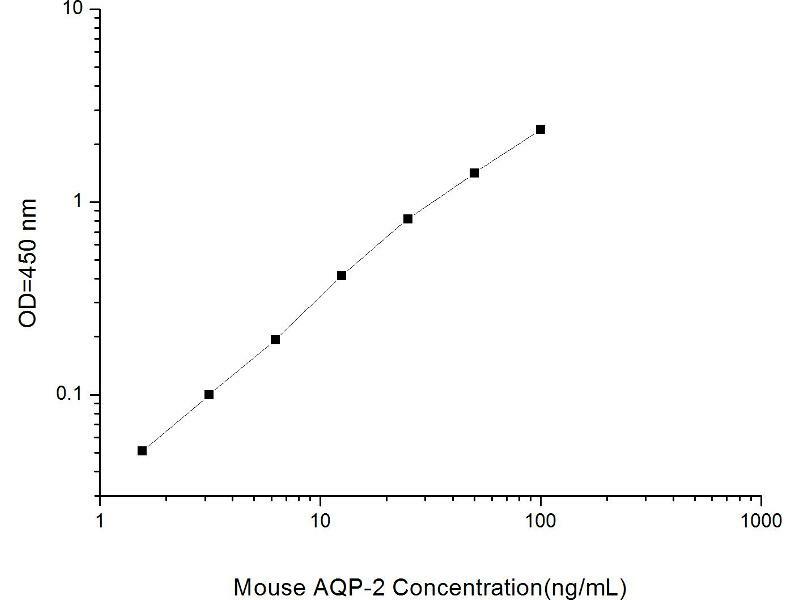 It belongs to the MIP/aquaporin family, some members of which are clustered together on chromosome 12q13. 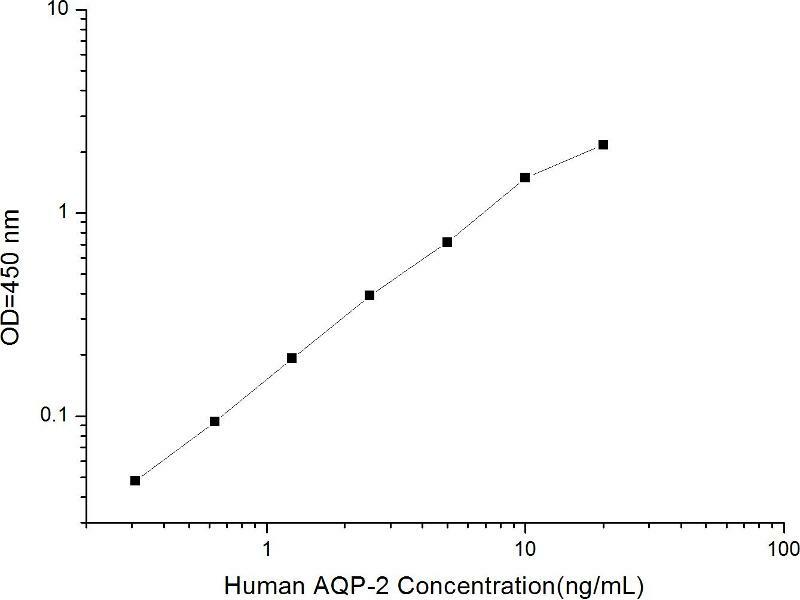 Mutations in this gene have been linked to autosomal dominant and recessive forms of nephrogenic diabetes insipidus.